We’re a little less than a week away from Christmas and the holiday parties are in full swing. From glitzy galas to the fun ugly sweater gathering, everyone is getting dressed up for some pop, fizz, clink, and fun! 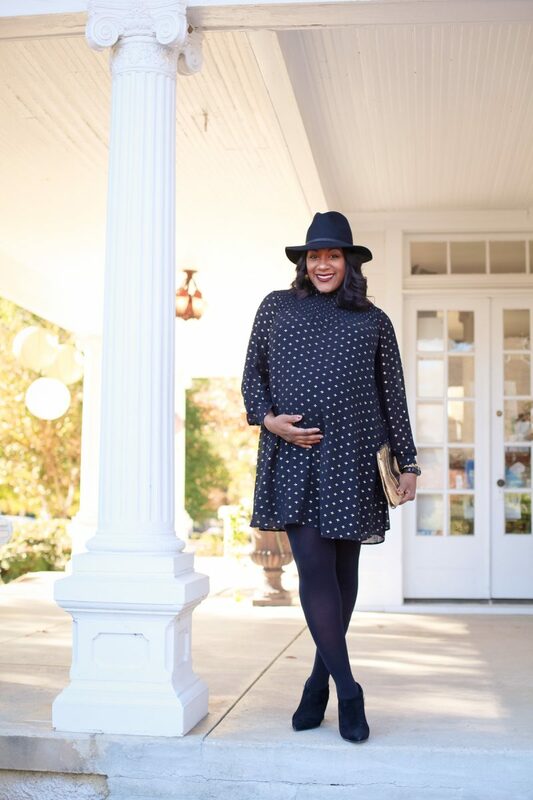 Being preggo and about to pop at any moment, I didn’t get to participate in the festivities this year, but I would’ve remixed this look had I had a chance. 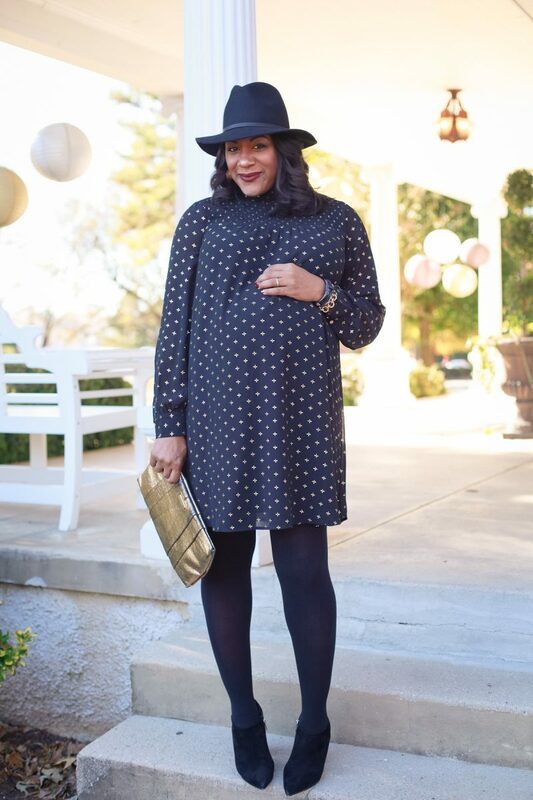 I first wore this to the Harlem’s Fashion Row event in Memphis (see full post HERE), and the black and gold was a hit! 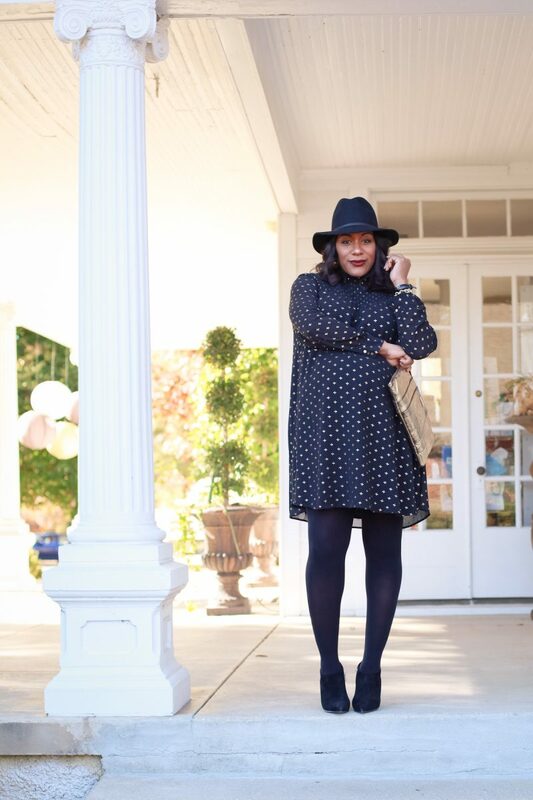 This dress is super easy and comfortable, and the fedora added just the right amount of sass. 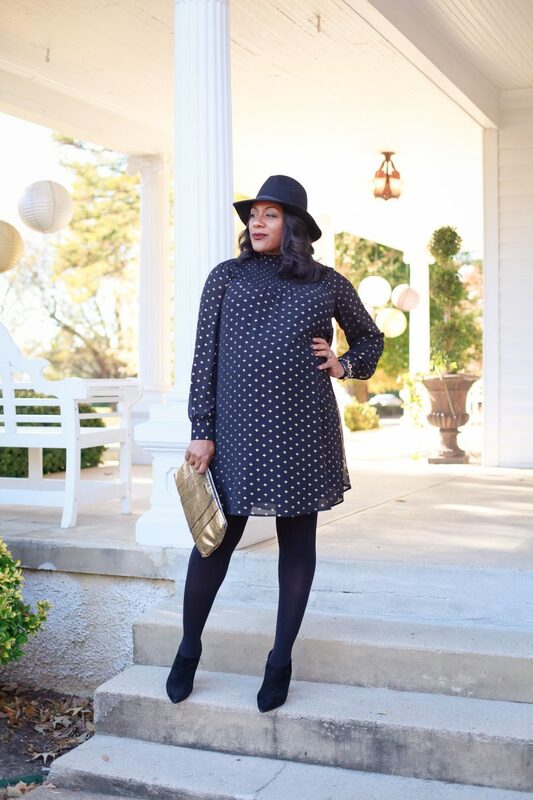 Black and gold is an easy choice that can be recreated tons of different ways. 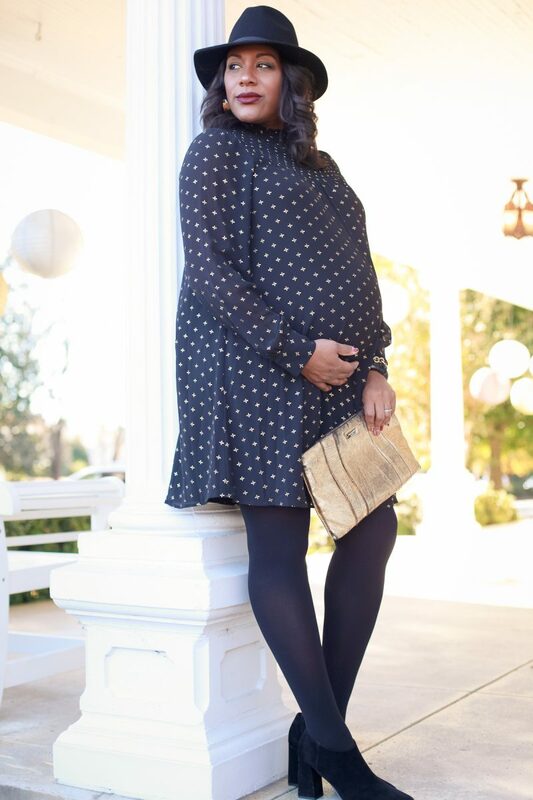 Pants, skirts, jackets, accessories, etc. in black and gold are plentiful and readily available at any store and price point during the holidays (an year around, too). Sentimental moment: This was the last look I got to photograph while I was pregnant. It’s only been a week (my ladybug arrived 12/12), and I already miss my bump. 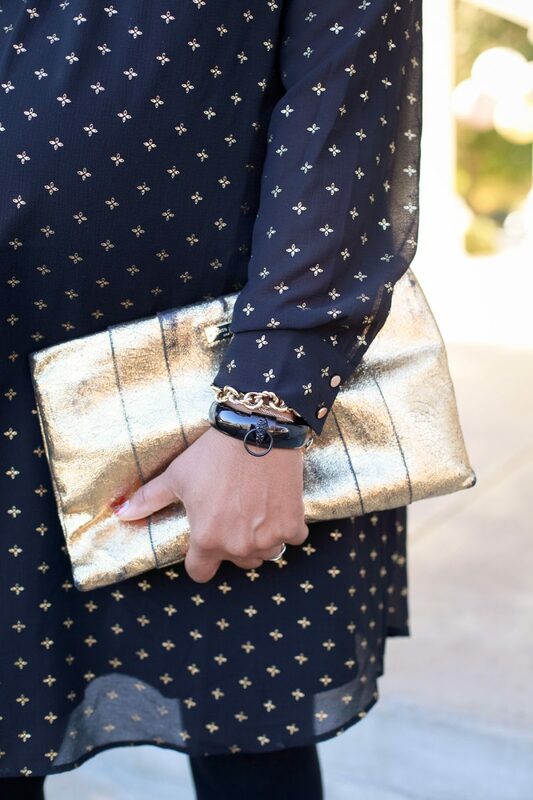 According to Q, be holiday party ready fast with a black and gold color palette. 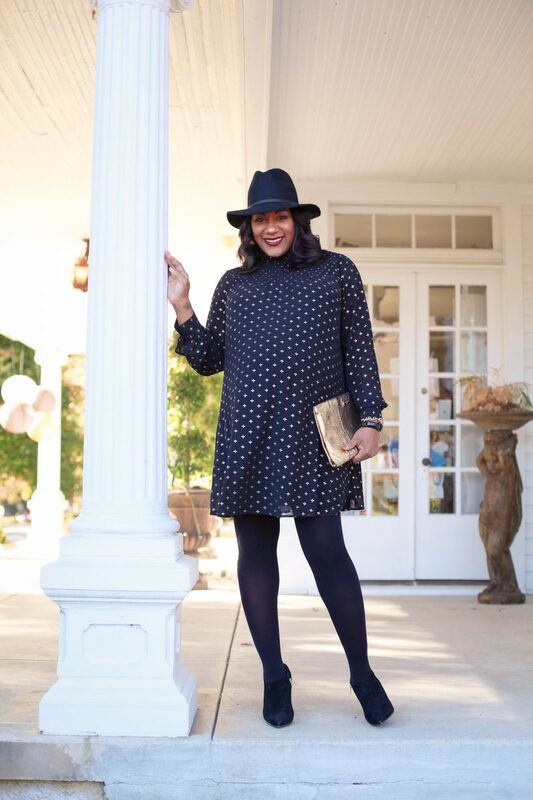 All parts of the outfit are super easy to find (at the stores and in your closet) and remixing is a breeze. I’ve even worn this to the office with a longline black vest and gold flats. Cheers to the holidays and the parties (and clothes) that make them memorable! Previous Post Bawse’d up. Caped up.